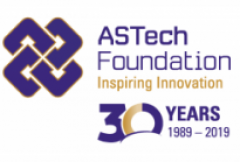 Since 1990, the ASTech Foundation has honoured outstanding achievement in science and technology innovation in Alberta. The accomplishments of many of our award winners have been acknowledged through national and international recognition at the highest levels. We applaud the ongoing success of our awardees! To read more about the individual awards, click on the award name. Mr. Acorn produced “Acorn: The Nature Nut”, a television series broadcast worldwide. He has also written a trilogy of children’s books on nature, palaeontology and insect-specific field guides for nature lovers. Dr. Burrell’s awards are for Acticoat(TM), which is a wound dressing he invented. It is used worldwide and harnesses the antimicrobial properties of silver to provide effective and fast healing. The dressings are commonly used in burn units. Dr. Church has had a distinguished career as an entrepreneur, community leader and educator, finding new methods for livestock breeding. He was a founding member of the Faculty of Medicine at the University of Calgary and Associate Dean of Research. He was the first head of the department of Medical Biochemistry for 14 years. Dr. Cochrane’s career has spanned the fields of medicine, biomedical research, education and business. He served in a number of leadership roles at the University of Calgary, including Dean of Medicine, Professor of Paediatrics, President and Vice Chancellor. During his time as President he established the Faculties of Humanities and Law. He became Alberta’s Deputy Minister of Health in 1973-74 before moving into the realm of business as Chairman and CEO of Connaught Laboratories from 1978-1989. Dr. Currie is now a professor at the University of Alberta and is the driving force behind Dino 101, an open online course that teaches students around the world the basics about dinosaurs. He helped found the Royal Tyrell Museum in Drumheller, AB and in 2015, the Philip J. Currie Dinosaur Museum was opened in Wembley, AB. DIRTT (Doing It Right This Time) Environmental Solutions builds pre-engineered and pre-manufactured moveable walls, eliminating construction waste and future renovation waste. Dr. Dovichi’s research has focused on the development of modern chemical microanalytical instrumentation. His research interests include The Human Genome Project, which was the most ambitious research project in the history of analytical chemistry. The goal of the project was the determination of the primary structure of the human genome. The company makes a wearable technology that provides data on peripheral neuropathy which is a diabetic condition causing the loss of feeling and sensory feedback in the feet which can lead to tissue damage or amputation of the limb. Dr. Keenan is a well-known figure, appearing at TEDxCalgary, on the radio, and in his weekly columns in the Calgary Herald and Business Edge, alternating topics in technology and men’s health. Alvin was Chairman of the Board of Trustees for Calgary Foothills Hospital from 1980-1990, and the Alberta Heritage Foundation for Medical Research from 1990-2000. The Alvin and Mona Libin Foundation supports numerous health organizations, including the Libin Gene Therapy Unit and the Libin Cardiovascular Institute at the University of Calgary. Dr. Masliyah is internationally recognized for his ground-breaking research in the improvement of oil recovery from Alberta’s oil sands to improve environmental outcomes. He is a researcher, scholar, mentor and educator. Dr. Morgenstern is an international authority in geotechnical engineering. He has made outstanding contributions through teaching, research and as a consulting engineer in the areas of offshore engineering, foundation engineering and the environment. Pat is originally from Vancouver and first arrived in Calgary at age 15. His struggles as a child on the streets led him to be a leader in delivering compassionate programs for the poor & homeless. Pat’s work at Calgary’s Mustard Seed Street Ministry changed lives and encouraged thousands across Canada to join him in building stronger communities. Dr. Piper is a global educator. Prior to her role at UBC, which she held from 1997-2006, and again as Interim President in 2015-2016, Dr. Piper was the Vice President, Research at the University of Alberta. She currently sits on numerous boards in Canada, including Bank of Montreal, Shoppers Drug Mart and the Dalai Lama Center for Peace and Education. Dr. Schindler teaches limnology; the philosophy, sociology and politics of science; science and public policy in Canada; and environmental decision making. His research interests include the study of fisheries management in mountain lakes, the bio-magnification of organochlorines in food chains, effects of climate change and UV radiation on lakes, and global carbon and nitrogen budgets. Dr. Schindler has appeared in films and television programs multiple times, speaking on issues of water and air quality, particularly regarding the environmental impact of Alberta’s oil sands. Dr. Smith was Dean of Medicine at the University of Calgary. He founded and served as President for the Peter Lougheed Medical Research Foundation, the Alberta Health Professions Advisory Board and the Premier’s Advisory Council on Health in Alberta. He is the Chair of the Strategic Advisory Board of the Libin Cardiovascular Institute of Alberta. Ed has contributed to outstanding environmental journalism for more than 20 years. As the Edmonton Journal science writer, he educated the public on important issues related to the environment and conservation. Ed is currently a fellow in the School of Policy Studies, Institute for Energy and Environmental Policy at Queen’s University. Dr. Sturgess is a driver of innovation and sustainability. Following successful careers as an engineer and entrepreneur, she founded Alberta WaterSMART to develop and improve Alberta’s water resources. She has also paved the way for women in engineering as a trailblazer and a mentor. Surface Medical produces products that address hospital-acquired infections. Dr. Sutherland spearheaded NeuroArm™. The University of Calgary project allows neurosurgeons to guide a robotic arm through the complex areas of brain surgery while the patient is inside an MRI machine. NeuroArm’s goal is to be able to bring a high field MRI into the OR. Dr. Sutherland and his team created the world’s first mobile high field magnet. Along with Dr. Jerome Friedman and Dr. Henry Kendall, Dr. Taylor received the 1990 Nobel Prize in Physics for their work verifying the quark theory in particle physics. Dr. Taylor began his physics research at the University of Alberta. Dr. Wallace’s research is focused on mediators of inflammation and their contribution to mucosal injury and dysfunction. He also studies the mechanisms of injury induced by the gastrointestinal tract by anti-inflammatory drugs, and the factors that regulate healing of ulcers. He has published more than 400 peer-reviewed papers and 100 book chapters, and is among the top 0.5 per cent of biomedical scientists in the world in terms of citations. Dr. Weiss made a discovery that allows the generation of new brain cells. This advancement has proven significantly important for those who have suffered strokes, head or spinal injuries, or are affected by diseases such as Alzheimer’s, Parkinson’s, Huntington’s or multiple sclerosis. Dr. Wolkow and his team are dedicated to creating a next-generation replacement for conventional transistors found in electronics by using nanotechnologies.